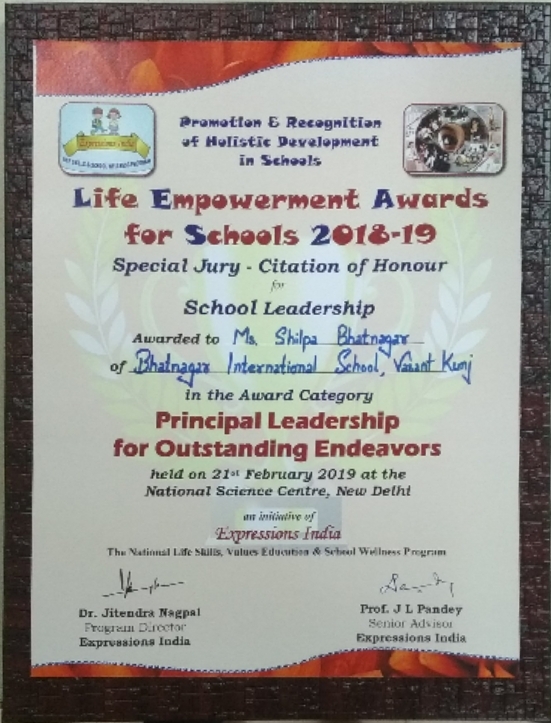 It is a matter of immense pride that esteemed Principal Ms. Shilpa Bhatnagar has been conferred with Life Empowerment Award 2018-19 instituted by Expressions India under the National Life Skills Education and School Wellness Program on February 21, 2019 at the National Science Centre, Pragati Maidan, New Delhi. 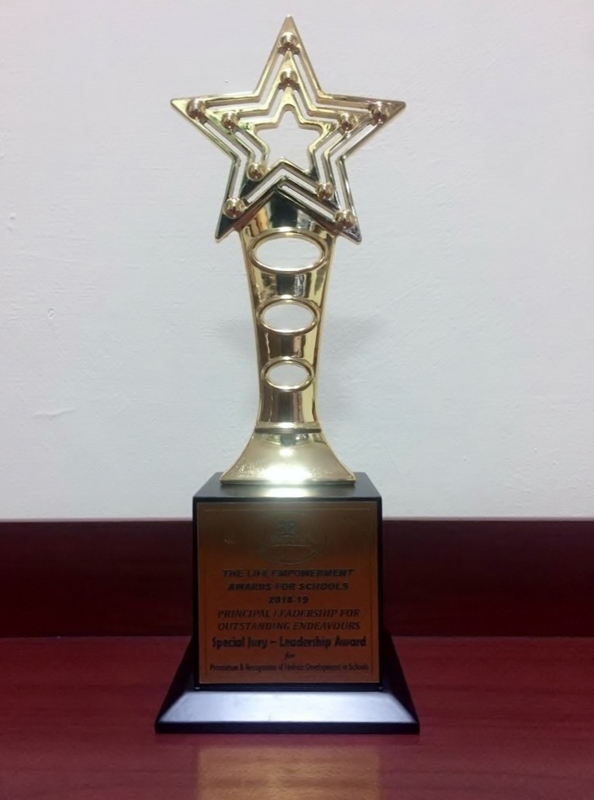 The prestigious award appreciates the outstanding endeavours aimed at child-centred excellence. 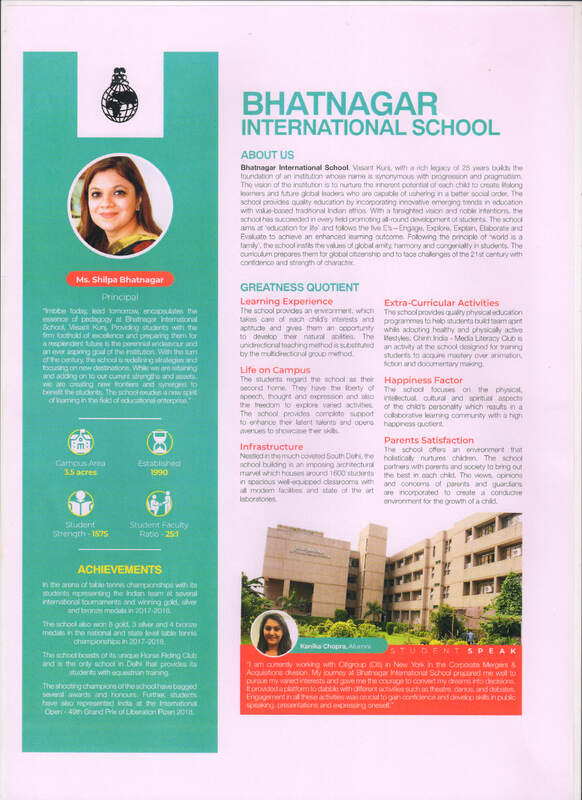 Under the illustrious leadership & able guidance of Principal Ms. Shilpa Bhatnagar, Bhatnagar International School, Vasant Kunj gets featured in FORBES INDIA, November 2018. 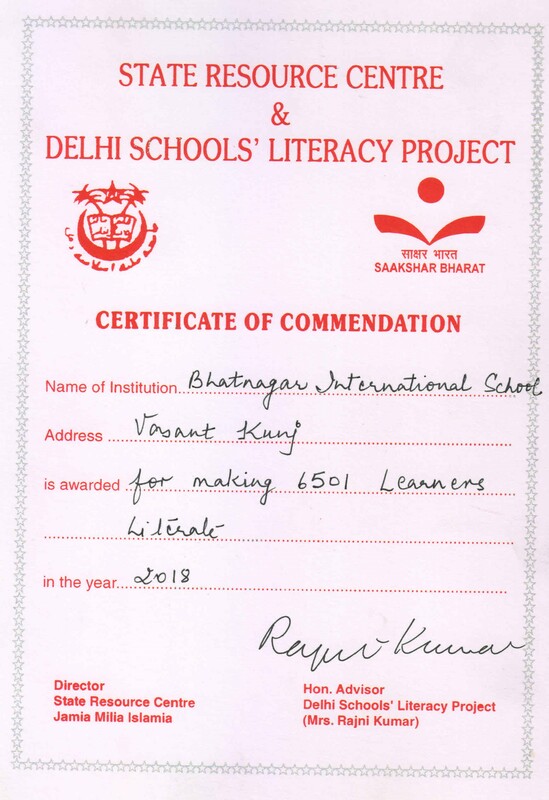 Heartiest Congratulations. 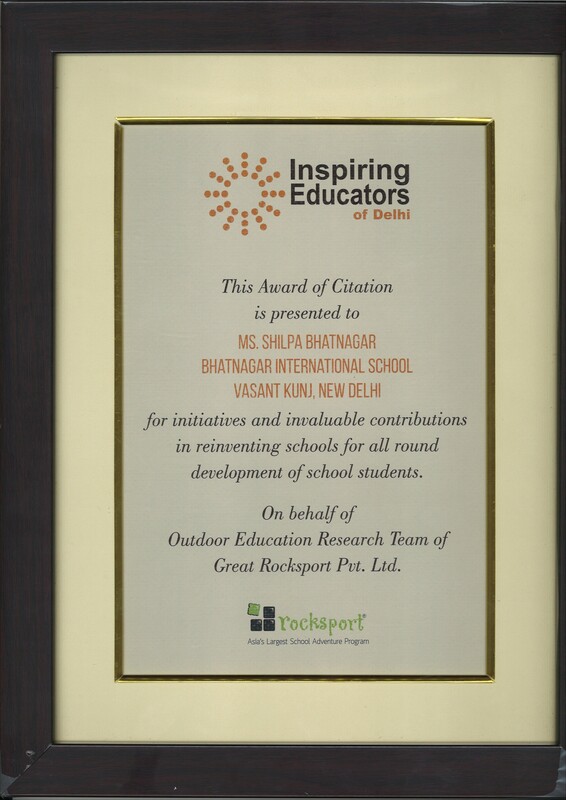 Respected Principal Ms. Shilpa Bhatnagar was honored for her Outstanding Contribution in support of "Swachh Bharat Mission" . Heartiest Congratulations. 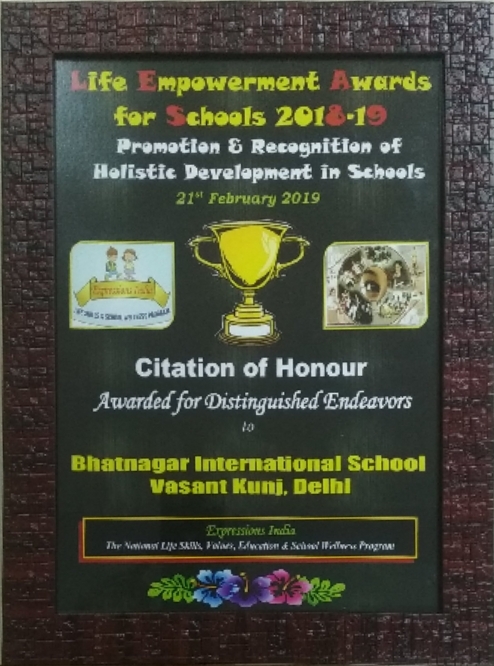 Respected Principal Ms. Shilpa Bhatnagar was honored for her Outstanding Contribution in support of "Swachh Bharat Mission". Heartiest Congratulations. 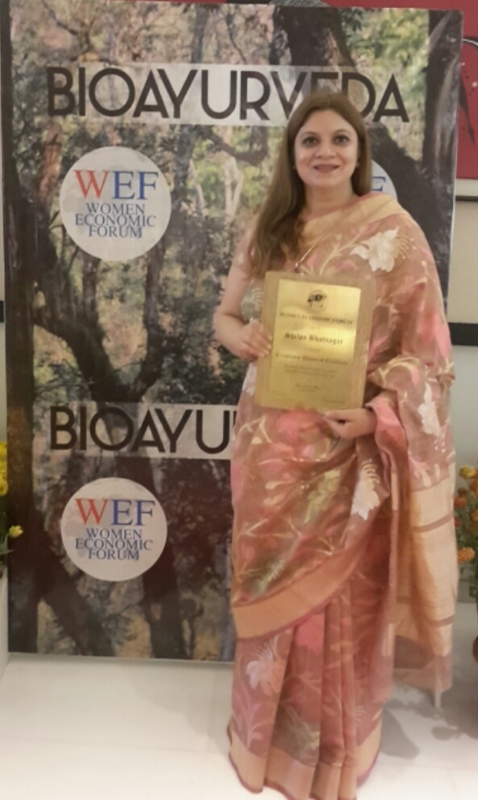 Respected Principal Ms. Shilpa Bhatnagar conferred with "Exceptional Women of Excellence " Award instituted by Women Economic Forum (WEF) on April 27, 2018. Heartiest Congratulations. 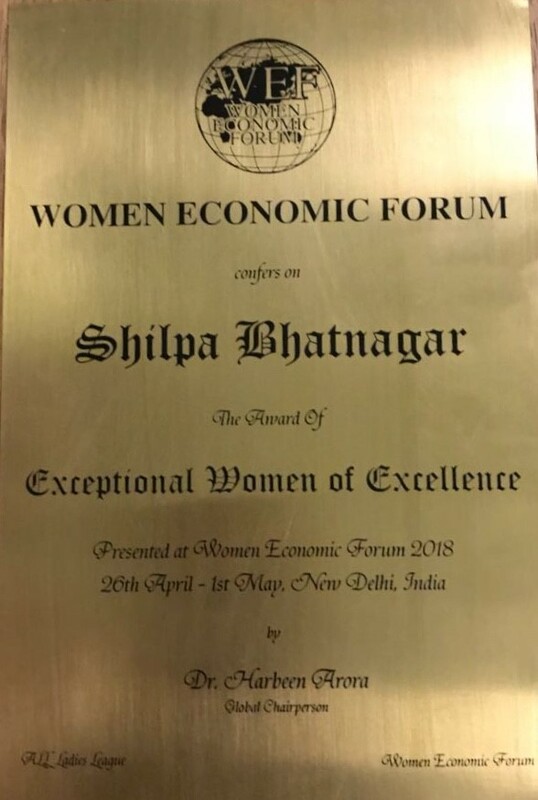 One of the most prestigious awards instituted by Women Economic Forum (WEF) is the “Exceptional Women of Excellence” which was conferred on esteemed Principal Ms. Shilpa Bhatnagar on Friday, April 27, 2018 at a glittering event held at Hotel Taj, Dwarka in New Delhi. Women Economic Forum is a part of the All Ladies League (ALL), the world’s largest league and international chamber of women leading with an inclusive vision, forming a positive chain of change and progress. The inspired gathering at this important annual event constituted of 2000 leaders and entrepreneurs from all continents across the world and from all the states of India. 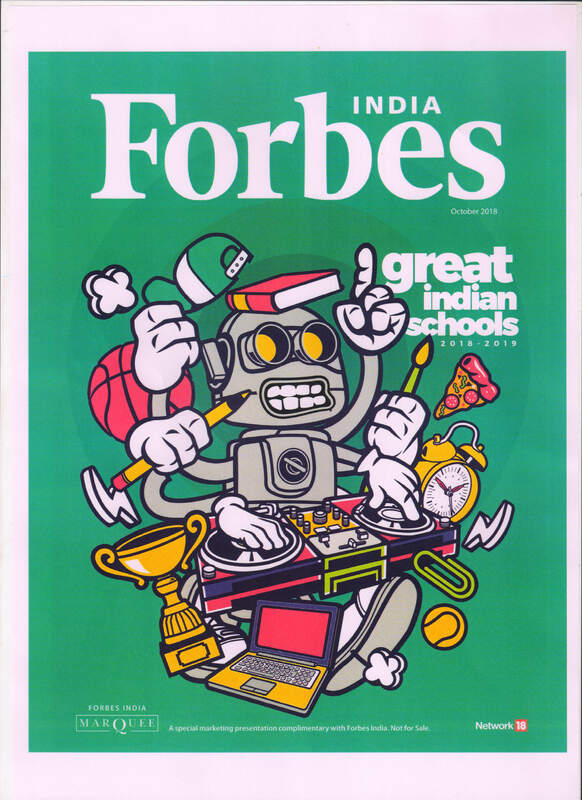 The theme of the event was "The Economics of Goodness: Empowering potential, Engineering change". Ms. Shilpa Bhatnagar expressed her views on the topic "Anti-Bullying: Learning to Speak up " as a lead speaker at the parallel session. 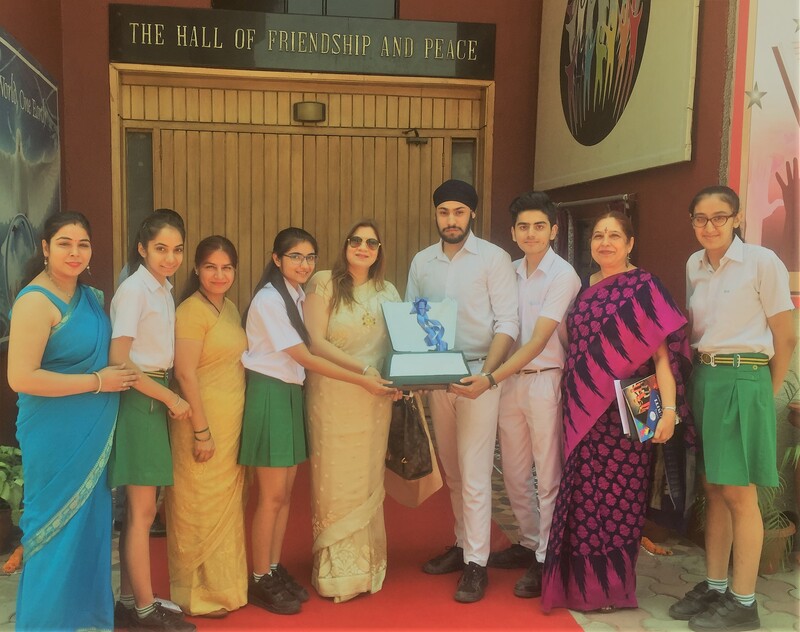 As an inspiring educationist and an impactful leader, Ms. Shilpa Bhatnagar was awarded a “Plaque of Honor and Commendation” at the iconic international Women’s event.